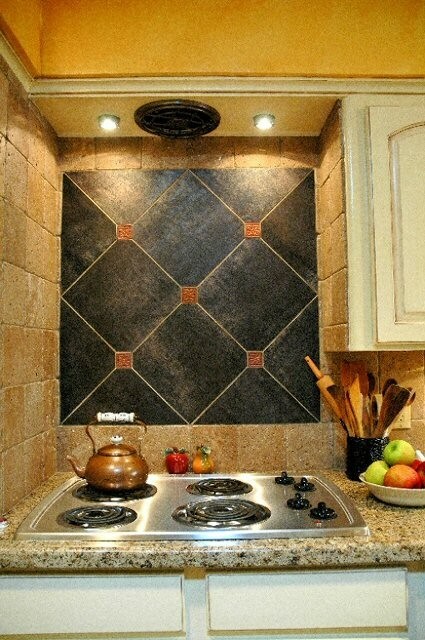 The tile mosaic featured above the cooktop here has the look and feel of leather. 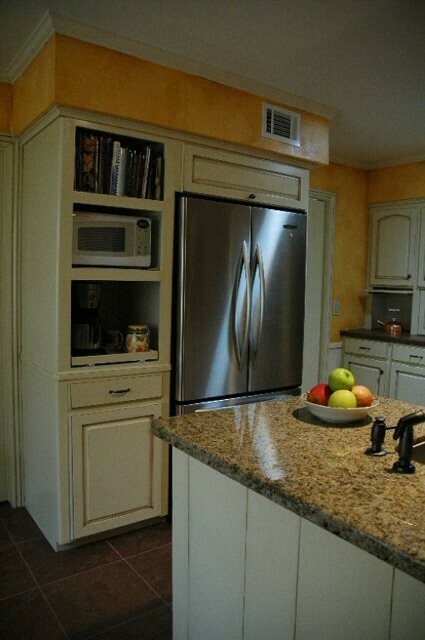 The remodel for this house combined refacing some cabinets and building new ones as well. 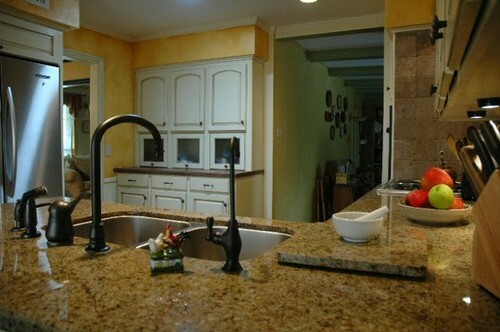 In the foreground you see oil-rubbed bronze fixtures for filtered water, the faucet and soap dispenser. 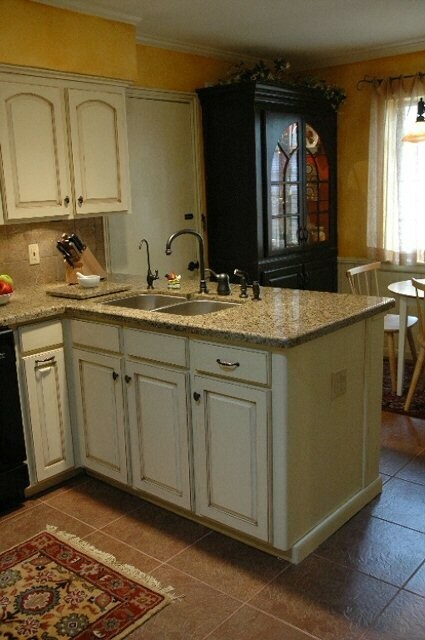 Granite from the undermount sink was repurposed for kitchen use. 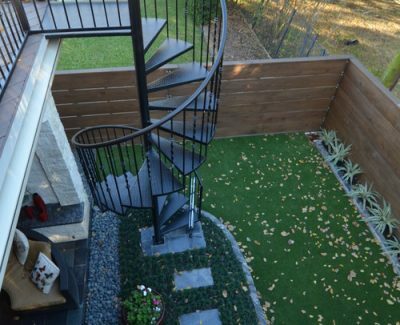 The lower, glass-front cabinets in the background lift up like a lawyer’s bookcase, from the bottom, out and up. 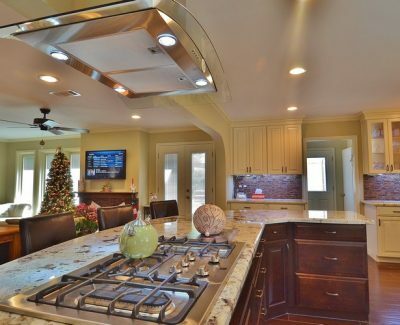 This view of the kitchen shows no hint of the foot-high backsplash and upper peninsula cabinets that blocked the visual and verbal flow to the room beyond before construction. Any lost storage was recaptured in the form of the hutch seen in the background, which interior was painted red to showcase its contents. 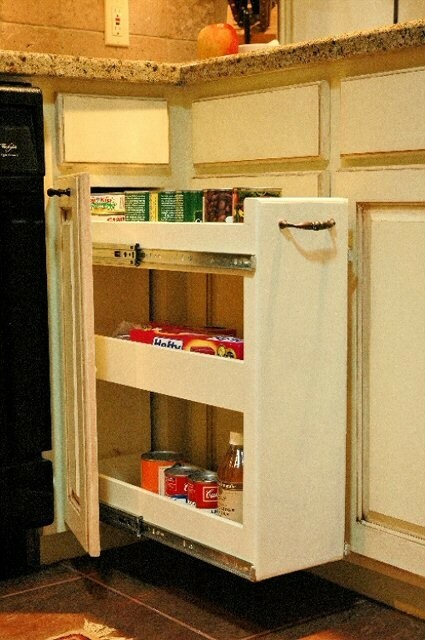 On this wall, the cabinets and furrdown were actually built out (brought forward) to the depth of the refrigerator, yielding much more usable storage space above and beside, plus giving the frig a built-in look. 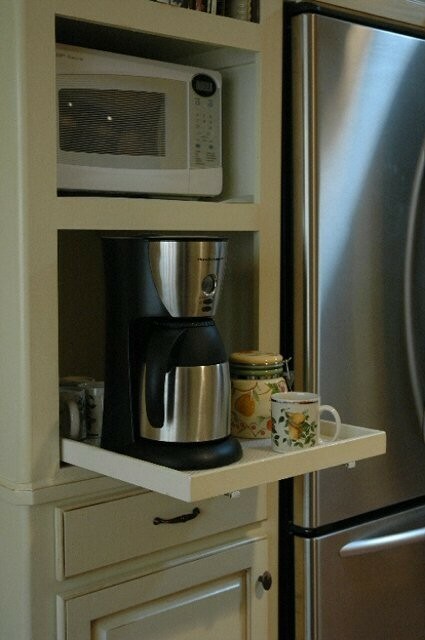 The bottom cubby has a pull-out tray and a water connection for the coffeemaker. 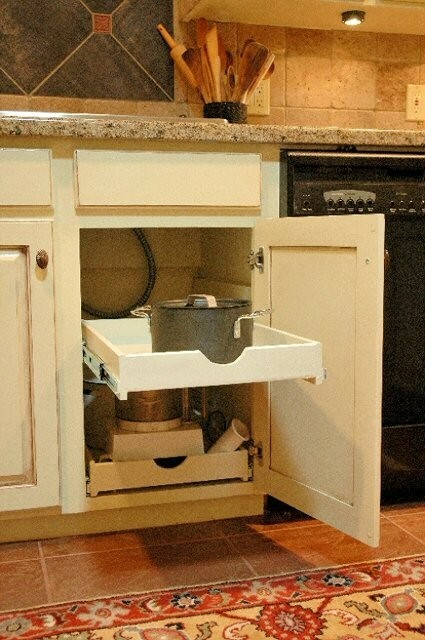 A narrow space beside the dishwasher was turned into a handy pull-out storage unit. 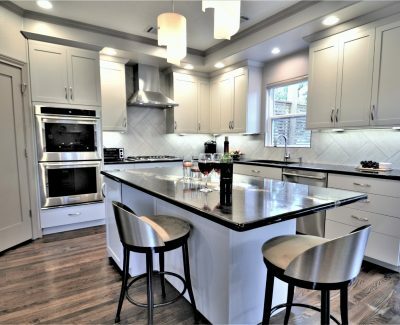 These pull-outs make accessing the pots and pans such a breeze, and you can admire the glazed finish when they are closed! 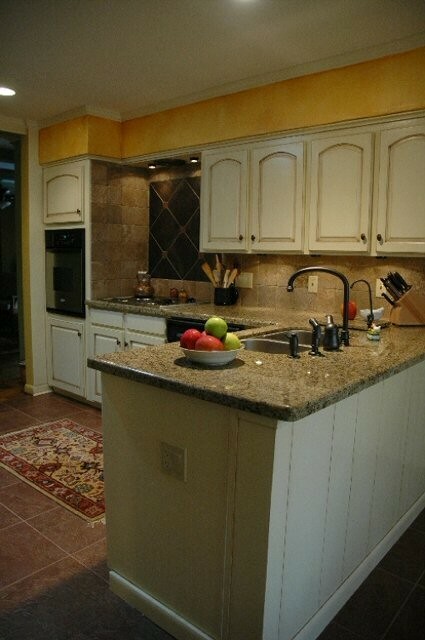 This lovely view would not be possible before the upper cabinets and tall backsplash of this counter were removed. 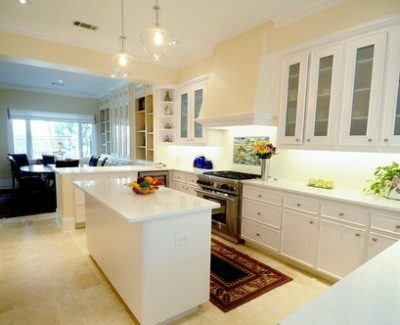 Now there is an open flow and inviting sight lines across the kitchen.